When I started in my current position, I was greeted with the same enthusiasm for the high standard of service that Moona Overseas Job Consultancy delivers by my new employer. I am convinced that personalizing customer service in the recruitment industry is definitely the way forward and that Moona Overseas Job Consultancy has mastered the art." "The service received has been very good. 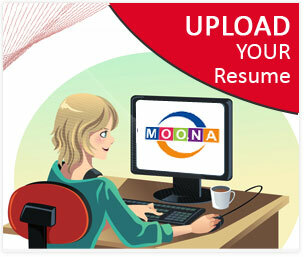 Moona Overseas Job Consultancy has been in regular contact with me to check my progress. I have been pleased with the regular contact and when I have a query Moona Overseas Job Consultancy have always been there to help." "I have always been very impressed with the quality of service I have received from Moona Overseas Job Consultancy . They are reliable, efficient, professional and � above all � truthful. This alone sets them out from much of their competition."